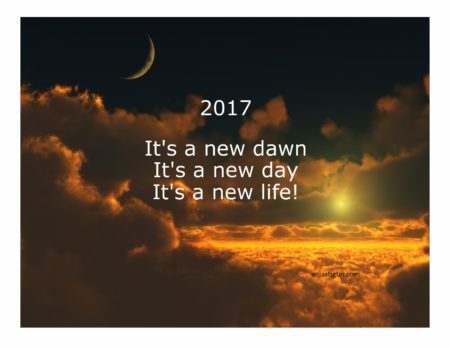 Most people of this world accept January 1 as the beginning of a new year. They follow the Gregorian calendar that came forth from the Julian calendar started by Julius Caesar. However the earliest recorded festivities in honor of a new year’s arrival date back some 4,000 years to ancient Babylon. For them, the first new moon following the vernal equinox (the day in late March with an equal amount of sunlight and darkness) was the start of a new year. Then they made promises to their gods that they would return borrowed objects and pay their debts. Through time many people of many cultures started their new year by taking certain resolutions but many did not follow through. Define and visualize your goal as precise as possible. Is what I am doing now aligned with my goal? Am I 100% willing and able to do all what’s needed? Do I need help of another person?